Please welcome Stefan Bachmann to the blog! I adored his first book, THE PECULIAR, and the followup, THE WHATNOT will be out tomorrow in paperback. He kindly stopped by to answer a few questions about THE WHATNOT, and more! Also, I’ve got an extra copy of THE WHATNOT and I’d like to give it to you, so be sure to enter to win via the widget below the post (US only), and I’ll pick a winner on 9/30! The paperback release for THE WHATNOT (sequel to THE PECULIAR), will be out tomorrow. Will you tell us a bit about it? Yes! THE WHATNOT is the concluding book in this duology and it’s a bit different from THE PECULIAR. The first book felt like kind of a chamber mystery to me. It was dark, but it had a lot of brassy contraptions and colors. The second book is darker (whyyy are my books so gloomy, i do not know) and while the first book was set entirely in a steampunk Victorian England, the second book plays half in England and half in the faery world, so it basically doubles the size of its scope. The book is about about a orphan named Pikey who lost his eye when he was younger and is now starting to catch mysterious glimpses into the dark country of the faeries. It’s also about a girl with branch hair who was kidnapped from England and is trying to survive in said faery world as the pet of a capricious faery duchess. I loved writing the faery world. It’s full of weird rules, no rules, a house that keeps re-arranging its insides, people with teapot heads or curtained windows for eyes. So that was fun. 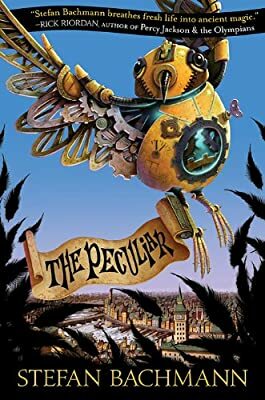 I adored THE PECULIAR and was pretty impressed to find out you were only 19 when it was published! What’s one of the very first things you can remember writing? Have you always wanted to write from a very young age? Aw, thank you! 🙂 I’m so happy you liked it. The first thing I ever wrote was a really horrible spin-off of THE HOBBIT. I was obsessed with Middle Earth and was not aware that you should know how to spell before you try to write a book. I was about six then, and I wrote that many pages, and decorated it with stickers and everything. I didn’t enjoy writing when I was younger, no. I think I always wanted to tell stories, but the actual business of stringing words together and trying to make them match what I was thinking was not fun for a long time. It can still be super frustrating, but I love it when I do find the right words and can show other people exactly what I’m imagining or feeling. The sense of discovery. There’s something really magical about feeling that you’re somewhere completely new, exploring a different world or a familiar-but-altered world where anything could happen. It’s like real life, but more original. It’s constantly changing, but here are some of my old favorites: Lemony Snicket (A Series of Unfortunate Events), Natalie Babbit (Tuck, Everlasting), Jonathan Stroud (The Bartimaeus Trilogy), and then all the classic picks like C.S. Lewis and Charles Dickens and Tolstoy. If you could experience one book again for the very first time, which one would it be. Maybe the Narnia books. I’m still traumatized whenever I see old trees being chopped down because WHAT IF IT’S A NYMPH, HUH? You’ve achieved, at a very young age, what many others dream of. What piece of advice would you give to an aspiring writer? Hmm. I’m still learning everything, too! I don’t know if I’m qualified to be dispensing advice. Also, I think writing is one of those things, like music, that can be taught and advised all up and down, but in the end you have to learn the really important things on your own. So I’d say something general like: read everything you can get your hands on and write badly until you write well, and also travel a lot, if possible. It gives you a new perspective on everyone and everything at home. I’m working on a YA thriller that I think is coming out in 2016. It’s wayyyy different than these last two books. It’s kind of a survival-psycho-cat-and-mouse thing set in an underground palace. So, no more faeries or children with branch-hair. Twelve-year-old Pikey Thomas is missing an eye, a family, and friends of any sort. One day, running from bigger boys set on bullying him, Pikey finds himself in front of a grand, beautiful house. There he meets and helps a black-winged faery who is injured. It’s a small gesture of kindness and bravery in steam-powered Victorian London, where faeries, now banned, are on the run or imprisoned; where the human armies are preparing for war; and where the changeling Bartholomew Kettle, aided by Arthur Jelliby, still searches for his missing sister, Hettie. This is the epic, dark, imaginative, unforgettable, and ultimately hopeful sequel to Stefan Bachmann’s acclaimed debut novel, The Peculiar. 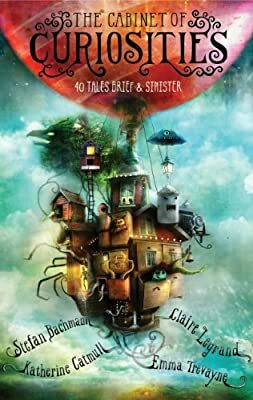 giveaway, interview, stefan bachmann, the peculiar, The Whatnot.